Is the premise: If something can wrong, it will? This seems to be the basis of the gamble on which every show is grounded. It appears as though it has never failed. 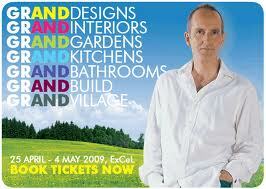 Kevin McCloud’s television production, Grand Designs is a popular show that is frequently replayed. It is so admired that it is blatantly used as a filler in ‘free to air’ television, especially in Britain, apparently without any complaints. 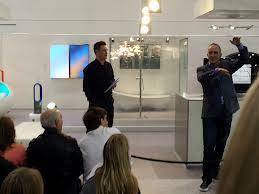 The published programme for Channel 4 often schedules whole afternoons replaying the programme: 1:00pm: Grand Designs; 2:00pm: Grand Designs; 3:00pm: Grand Designs; 4:00pm: Grand Designs - day after day. The only other competitor that comes close to this number of replays is on Channel 3 - River Cottage. This cooking show receives a similar repetitive listing of reruns. 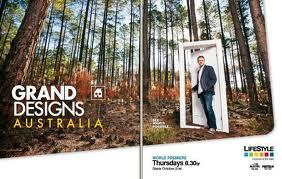 In Australia the repeats of both of these shows are more cunningly distributed, but are just as regularly aired, so that one might discover that a promoted programme has been seen some three of four times previously. But why watch the repeats? 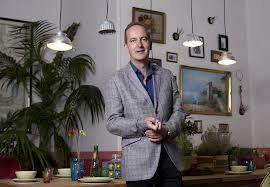 In Grand Designs, one is confronted randomly with a greying Kevin with less hair and a more gaunt stature than remembered; or an extremely young Kevin with his sweet, innocent but eager 'Tintin' face; or anything in between. Time makes its changes. 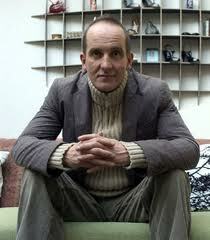 It is usually the image of Kevin that allows one to determine the age of the programme: to gauge its antiquity. The programme has been running for years. One sometimes has to wait to see the other folk involved in order to recognise the scenario; or sometimes the build itself. It is remarkable what one remembers of each show and how accurately and acutely it is recalled. Why? How? What is it about these episodes? I am not saying that I have seen every programme, but it seems to me that there is a ‘grand design’ in the structure of this show that forms the core of the series: its format; its formwork, as it were. 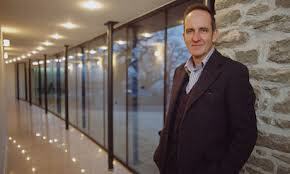 Indeed, one might say that each show is identical, varying only with different casts, contexts and circumstances, all led – ‘anchored’ - by the familiar and chatty KM - Kevin McCloud. 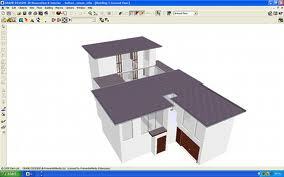 The strategy starts with the general introduction of the proposed build that is pieced crisply together with a magical three-dimensional CAD presentation to explain matters and hoped-for outcomes. Kevin usually gives his overview to set the scene - perhaps to emphasise some potential difficulty; some uniquely experimental qualities; or to drop the suggestion that the budget is too low; or that the site is impossible; perhaps that the weather will prove a problem; or that the owners lack experience; that time has been grossly underestimated; and the like. The viewer is prompted on the weaknesses - on just what disaster or disasters to expect in this ‘warm-up’ styled introduction. The camera is then pointed to a vista of open natural beauty, to pan into Kevin as he approaches the site, all to soft themed music. Here he expands on the scenario he set up in the introduction and has a ‘probing’ chat with the owners. At this early stage in events, he is cheeky, penetrating, challenging, asking the tough, sometimes insulting questions that might be further highlighted, aggravated and complicated, as particular issues and problems are elaborated on and explained in the responses or excuses given. KM can be cynical, even sarcastic, at this stage - cheeky; sometimes smug. Then the image of the ground being dug up comes onto the screen. Here one sees concrete being poured without any reinforcement - a strange matter for one used to Australian practice. But this is the ‘old country,’ with old ways that it will not change. 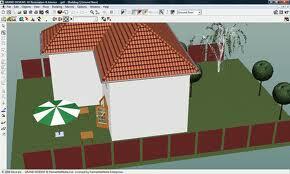 Issues with planning frequently bring this stubbornness to the fore. This is a country that works hard to keep its heritage, sometimes extremely hard, making unique and specific demands on owners and builders that appear strange to those outside of the culture. Frequently the result is often questionable, in spite of all the effort made in response to the detailed demands of the planners. At this stage, during the preparation of the footings - planning matters can go on and on throughout the build - things can go well or disastrously, a bit like the planning issues themselves. Budgets can be blown out, and then more time is spent lingering on the difficulties, languishing in them with a drooling delight. If things go well, without any theatricals, this portion of the programme is skipped over until a different hurdle has to be confronted. The whole subject of the series is drama. This is highlighted time and time again as Kevin probes searchingly in his chats with the owner, or the architect, (if there is one, and one willing to go on camera), the owners, or engineer, or project manager: anyone who will talk and help with the structuring of the narrative of the drama; and the drama of the narrative. One must remember that these interviews are all carefully edited to provide the best effect for the show. Sometimes KM will seek to explain matters to the audience by using quaint models to display the characteristics of what is happening. Other times he does little sketches. He might involve himself by standing on a sheet of, say, glass or plywood, to test and prove the load capacities. He might use a piece of toast to highlight the structural challenges; or play with model pieces to illustrate the structural and waterproofing, heating or prefab systems being used. It is all a little like Playschool when this is taking place. It seems to delight KM more than anything and is a strategy used when appropriate props are available: ordinary things that can set the scene simply. As in children’s television, KM likes to use, say, a cardboard box, cotton wool, a plastic tube and a ping pong ball, for instance, to make something to make a point, when for children it might be purely to create a fun item: maybe a spooky mask, all with a similar educational intent. KM likes to play. It is not as though all technical matters are explained. Sometimes these are frustratingly ignored, or just forgotten, when they are critical to an outcome and the understanding of the process being followed. There is no rigour here, just opportunities for games and drama. With exotic IT systems being built into a house, KM is more interested in counting fittings and pointing out the fun that can be had with the system than anything else: dimming lights and changing colours to suit the mood music or the desired feel, and the like, become the subject for attention. As the mess of the build increases and the shape appears, KM then starts walking through the place, making disparaging comments about cost, size, intent, etc. - even suggesting that it might leak or never perform as planned. He literally revels in the project’s delays, often highlighting the fact that the project is something like eighteen months into a build that was to take eight: likewise with budgets. Repeated chats with the team and the owners are cut into with his monologues to bring out the character of the characters in the build and to emphasise the disastrous possibilities, a little like the graphics on Monster Moves that use three dimensional CAD to show the actual failures - true failures. It is a bonus if there is an argument or a real trauma, but it can become embarrassing. In amongst all of this, KM gets his hands dirty. Just why remains a question, as his involvement - this ‘getting my hands dirty’ game, (has this idea also come from Playschool?) - is always accompanied with the whinge that he is hopeless and not one used to, yes, ‘getting his hands dirty.’ Why bother? It is strange that television presenters like to jump in to try to accomplish things they have never touched before. What prompts this silly embarrassing performance? Surely not viewer expectations? As the build progress, the script is honed appropriately to suit the context. Every opportunity to create issues and establish dramatic scenarios is grasped. “This is impossible. It just won’t stand up. It will be double the cost. It will be too dark ; too small; too sunny; too cold; impossibly ugly; out of scale; out of character - will not fit into its particular village or countryside.” One is encouraged to be prepared for, to expect, the greatest disaster of all time; after all KM should know, he has experience in these things: and the music hauntingly highlights this possibility as the camera twists into uniquely ugly images of whatever to prove that this will be so. What is interesting is that the camera never captures the complete context. There might be a neighbour only a few metres away, but one is encouraged to see this build as a stand-alone, unique piece of architecture. KM likes those builds that are ‘modern’ and is at his most caustic, (he is never really rude), when they are otherwise. The camera seems to take the modernist ideal of seeing each building as being its own self, with its own unique identity: bugger everything else. This is a ‘grand design’ after all! Occasionally only a casual, chance glimpse, a mere suggestion, is gained of the complete context, as if by accident or by sheer necessity driven by some other critical ambition. Even at the completion of the programme the real circumstance is concealed in the hints, the cut and paste, of endless open vistas and clumps of green. Sometimes clever lighting blacks out the surrounds when they are too difficult to eliminate by other means. Now, towards the end of the show after last seeing the build in a complete shambles, and being encouraged by KM to expect it to be the greatest calamity of all, the camera points to the idyllic scene of distant green and pleasant rolling hills in the best of British ‘Jerusalem,’ or frames a shimmering cornfield or a copse of trees with leafy light filtering through. You get the idea. Then it cuts to a frame in which one sees KM strolling up to a completed building to knock on the front door. One never notices it, but the camera is suddenly inside to capture the immediate surprise of KM’s arrival that is all handshakes and kisses to an appropriately positive, emotive tune. “Gosh, we didn’t expect you Kevin,” say the owners all dolled up ready for the camera and pizzazz of the accompanying the music. The music is critical to this production. What! Is KM going to criticise this build after such a greeting? No, never. Suddenly everything is wonderful. Just right. It is all a little like a child’s book, as with Goldilocks, and that typical scenario with, say, a mouse that has everything wrong: too hot; too cold; etc., and then suddenly right - not too hot; not too cold; etc., all just right, as the little creature tucks safely into its bed - as presented on Playschool. It is a very satisfying scene for the child - comforting and reassuring. It seems to be the grand design for this production too. Is this the strategy that makes it so addictive? Is this why we are so forgiving of its weaknesses; happily blind to its illogical leaps? The stroll through the newly completed home- well, sometimes it can never be completed within a reasonable time so it is signed off incomplete and left to the imagination - concentrates on the kitchen and bathrooms, with glimpses of the living and bedrooms. Stairs seem to be the new fetish. Frequently a 400,00 pound build will have a 100,000 pound stair - well, it seems like this. But getting a clear and honest statement of costs is usually the low point of the programme. The characters are all different: some can make sensibly believable statements; others appear to tell fibs; others just refuse to be helpful. Why did they get involved in the show? Was it the wife who was so adamant? It is always interesting to see who does the most talking. Indeed, it is a grand design that is managed with a grand design. There is a problem here. Frequently issues are ignored. Things technical and complex are made to appear simple, commonplace, when overlooked. The concentration is on the story, the plot as it develops, as it is honed in the process of the taking and making. The programme does little for design or for architecture, other than falsely promote its exaggerated possibilities. It highlights pretentiousness when it is there; exuberance and arrogance when it is there; false genius and foolishness likewise. Only one or two programmes - maybe, because I have not seen every episode - reveal a truly beautiful piece of work and thought that has been responsibly managed and carefully produced. The idea and intent of the show makes it far more likely that something otherwise will be chosen to embellish the framework of the plot – to beef it up with drama. The show makes the professionals look like idiots. They are always, it appears, fair game. What it does is to show those who are bold enough to want to be part of the programme, making statements that highlight a certain arrogance, for example: “Building is easy; Architecture takes time” - all when the project is months out of time. 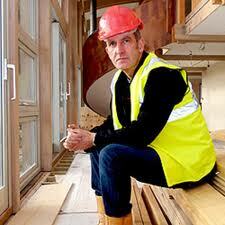 The astonishment is that Britain has any builders left in business. The scene is commonplace: the budget is stretched and the build is months and months over in time. 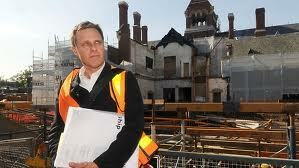 Yet the builder happily ploughs on with his slow progress without complaint or worry. How it this possible? He has to go broke with this attitude. What really goes on? The whole building process is a worry. How many builds start without even a final set of drawings let alone a final cost? 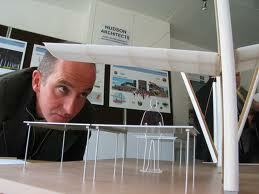 Here architects are shown extolling the virtue of their expensive ideas in spite of budget worries and time constraints. The profession is made look silly - stupid and pigheaded. Is it? 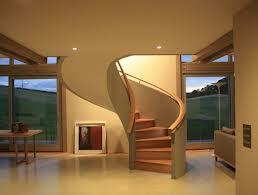 Clients are presented promoting the idea that architects are a waste of time and money. The DIY concept steps in, suggesting that anyone can do what trained professionals work at every day. It is a real worry even when KM does suggest otherwise from time to time. The final positive, ‘everything is wonderful,’ scene only reinforces every prejudice possible. Greater rigour is needed if the truth is to be told. Here, it seems, truth is never let get in the way of a good story. 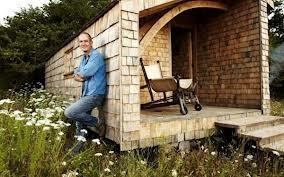 The whole strategy becomes more transparent when KM wants to build his own shed in Man Made Home - a little hide-away home in a field he has purchased: a retreat. Here everything is promoted in the introductory monologue as being handmade from the site or from junk. This build will be green and me. The suggestion is that KM is going to do everything on and from his land, with his materials, his junk and his hands. 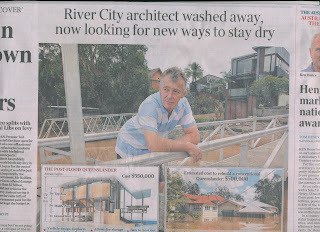 But no - his mates and other contractors, designers and friends, and their friends do it all. There is always a skilled assistant to be introduced for each new task. We should have remembered that KM is useless with his hands. He has told us frequently enough. Then we see the tricks. The machines are bought in to do the work after minutes of detail shots of the attempt at making, at cutting, by hand. The trees are cut, by chainsaw. The wood is cut, by chainsaw. The cabin is on wheels to overcome the planning regulations, (is this a good example to set? 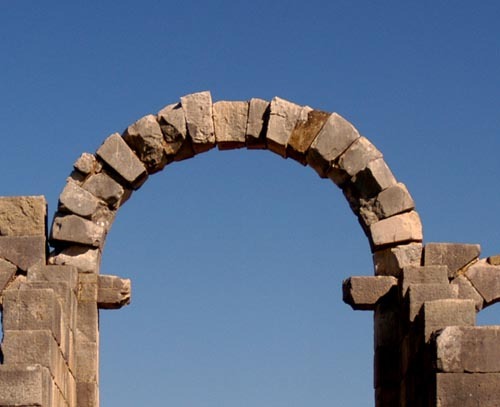 ), but the wheels are dug into hollows so as to hide them. These old wheels are to take tonnes of timber and earth, but how are the tyres to be kept inflated? 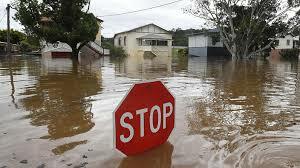 How are the hollows going to drain? Then suddenly, after many camera shots of handmade attempts and experiments with new systems, the frame is erected perfectly - no worries. It all fits first go, right down to the millimetre. We saw nothing of this fabrication and setting out, but it is all green and wonderful: you too can do this, just like I have! This is the repeated message. No fabrication problems at all; then the cladding. Yet again: the trick of hand making with the shingles. It is discovered that these will take months and months to make so a team of five is brought in. Suddenly there are two thousand shingles. Were these purchased from the local supplier? Nothing was said either way about this surprise. Nothing at all - just silence and, it seems, the hope that the audience will not notice or ask. Strangely, from time to time a planked wall is revealed in the background. Is this the wall the wide-angle shots never reveal? Just where does the drinking water come from? KM keeps the monologue up with his greener than green indulgence, ’easy-peasy’ as one chef would say, suggesting that everyone needs to and can do what he is doing - well, what he is watching people do. He does nothing but look and make comments for the camera, and get in the way. His grand design is getting tangled up with his own promotion, even though he says that this is not a vanity matter. Hmmm. It may not be but it looks mighty like it. It is an indulgence where the reality of the making and all of the issues arising from this are skipped over in favour of a preferred narrative. 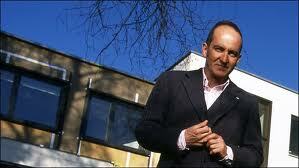 It is the same pattern as that of his grander Grand Designs programmes. Even the music is here too. Everyone knows how even the assemblage of a flat pack of, say, shelving, creates problems. First the understanding of the whole; then of the process; then of the pieces; then of the tools; and the organisation required. Now, if all of this is satisfactorily resolved, the assembly starts. 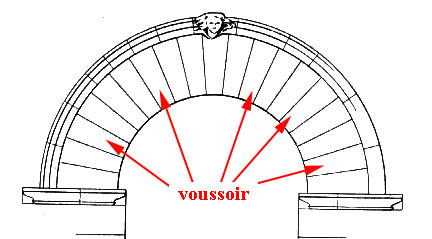 In no time at all, the matter of setting out, holding together and screwing correctly arises; then of the steps and stages; then of keeping things square. How? No one says: then of nailing off the rear panel. Finished at last, only to discover when the whole is turned over, (the instructions were to assemble the unit upside down), that the kick plate is installed backwards. Nothing warned of this problem. Why? Thanks Ikea. It requires everything to be disassembled to correct the problem. Then after twenty weeks of ordinary use, the shelves sag about twenty millimetres. Thanks again Ikea! Nothing in making is ever simple even if the DIY world loves to indicate otherwise. The sense of body experience, problem solving and skill management are always missing in the presentation that promotes the ease of making wonder and delight: “There!” - the hand slaps the finished item with a proud wack: “Just like a bought one!” and we all know otherwise. How many times have you seen the craftsman in a video illustrating how to make, say, a table? Just do this; then that; and this; and it is made: proud wack! - look directly at camera. After the first minute of attempting to replicate the task, there is a problem that has never been mentioned, let alone identified and solved; some real but unexpected complication that was given no time in the video. 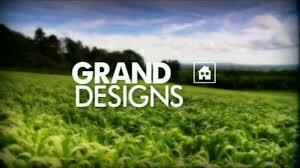 Grand Designs is like this. It skips over issues, edits them out, to grasp the substance of drama. It is a programme based on human interest and personal foibles, using the building process as its fabric. This is why it is so addictive: one is always interested in personal challenges; intimate problems; potential failures. It is really a very old narrative that has the struggle being overcome by success: adversity is defeated. It is a soap opera. What else does one want? It is an interesting question. There is really no easy answer. The comment can be made that making a drama out of real-life building situations is not helpful in describing the true circumstance. It is really just a grand design for Grand Designs: promoting the different and unique as a battle. The show certainly has been successful. But we must remember just how the programme is so selective, choosing only those people and builds that it believes will fit the mould that it has made - provide sufficient drama to make it compulsive viewing. Everyday modest success has no use here. Ordinary folk do not make interesting stories or churn out dramatic outcomes. Characters are needed with character builds that can create character headlines - KM’s catchphrases that are littered throughout his monologues. There is something Shakespearean - no, more of Hollywood - about the programme where the tension of potential tragedy builds right up to the final success of the project when the human spirit prevails. Strangely, on reflection, the words written by KM are frequently more important than the build. Is this what we remember best? 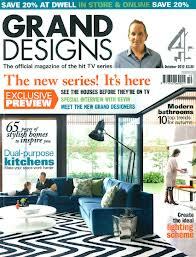 Such are stories: grand designs for good entertainment. As KM himself might say in summing up with a cutting precision, “The pen is mightier than the act and experience - of building.” One could add music to this too. Camera fade out from detail of house and garden with all lights blazing at dusk, to signature tune and the overlay of credits: written and presented by Kevin McCloud . . . . 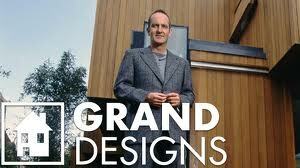 It is indeed a grand design: and ME - Kevin! Like David Attenborough, Kevin, Kevin and Kevin is always there to be seen and heard. 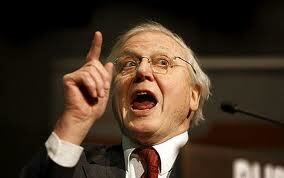 He is the Attenborough of building. 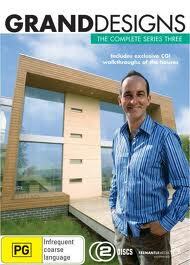 So what can one finally say about Grand Designs? Well, the best nature programme I have even seen was on otters in Shetland. One never saw the presenter, only heard his commentary as the camera concentrated on the shy and elusive otters. The subject was managed subtly and sensitively, with love and care. No ego complicated or overrode issues; no face fronted, confronted, the camera lens. It is possible. There was no Attenborough here; no McCloud to ‘McCloud’ matters. It is now the end of August 2013, the last day of our winter, some six months after publishing this piece. The ABC TV is still promoting its series Man Made Home as a DVD set. 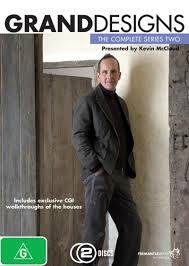 The promotion speaks romantically of 'Kevin Mc Cloud's eco-friendly cabin in the woods.' Perhaps it should be 'ego-friendly'? I wonder if he has had to pump the tyres up yet?